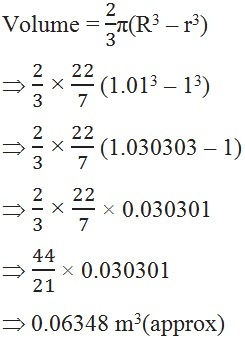 Assume π = , unless stated otherwise. 3. The diameter of a metallic ball is 4.2 cm. 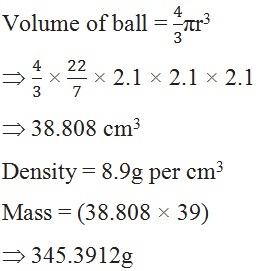 What is the mass of the ball, if the density of the metal is 8.9 g per cm3 ? 4. The diameter of the moon is approximately one-fourth of the diameter of the earth. 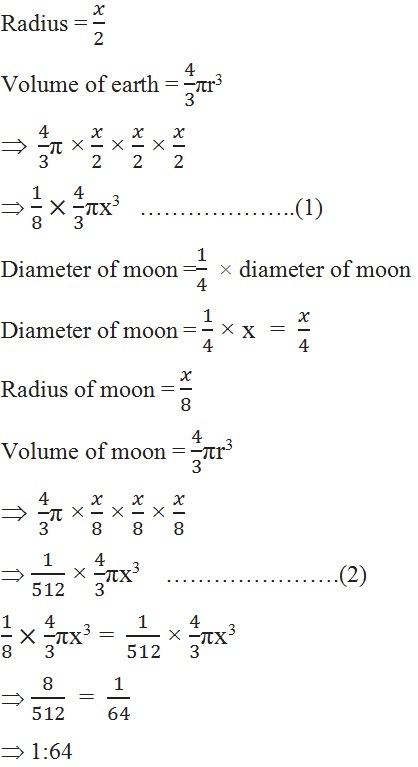 What fraction of the volume of the earth is the volume of the moon? 5. 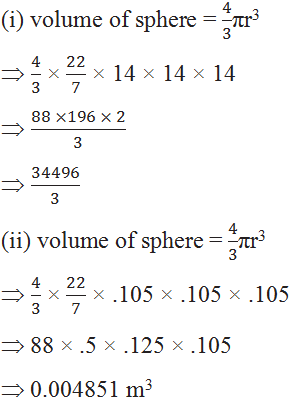 How many litres of milk can a hemispherical bowl of diameter 10.5 cm hold? 6. A hemispherical tank is made up of an iron sheet 1 cm thick. 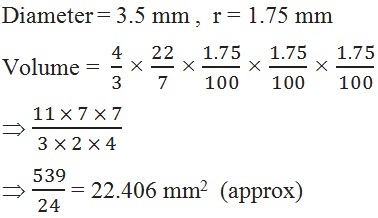 If the inner radius is 1 m, then find the volume of the iron used to make the tank. 7. 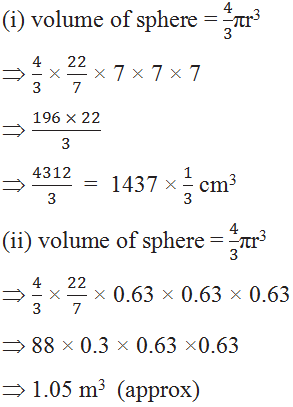 Find the volume of a sphere whose surface area is 154 cm2. 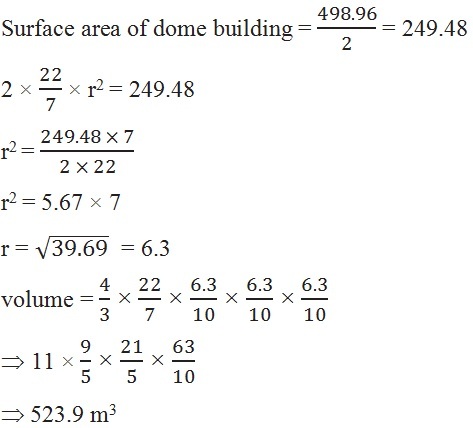 (i) inside surface area of the dome, (ii) volume of the air inside the dome. 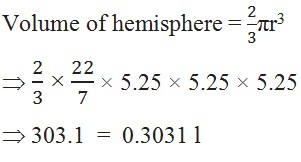 (i) radius r2 of the new sphere, (ii) ratio of S and S2. 10. A capsule of medicine is in the shape of a sphere of diameter 3.5 mm. How much medicine (in mm3) is needed to fill this capsule?